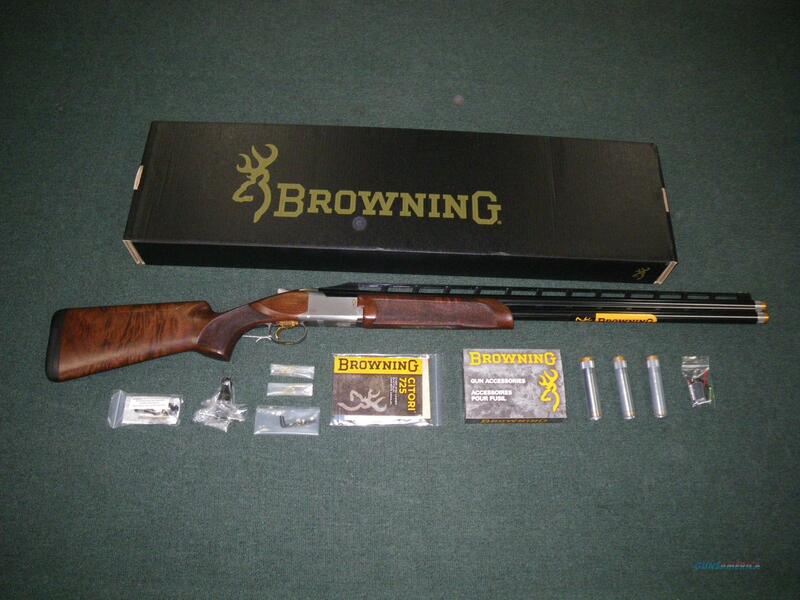 Description: You are bidding on a new Citori 725 High Rib Sporting in 12ga with a 30" barrel. The 725 Citori High Rib Sporting Adjustable shotgun brings the next generation of Citori to the world of sport shooters. The Low-Profile, steel receiver with silver nitride finish combines strength, ergonomics and aesthetics. The very high rib will keep your head up and targets in view. And the adjustable comb will make sure you have a perfect fit. What sets it apart? Gold accented 725 Sporting Engraving on the receiver with "725 Sporting" on the bottom. Ventilated extra high top rib allows you to keep your head in a more comfortable and natural upright position. Ventilated top and side ribs provide extra exposure to air and greater cooling of barrels during shooting. Ported barrels are designed to minimize muzzle jump and allow quicker acquisition of follow on targets. And of course, an adjustable comb for customized fit. Displayed images are stock photos. Any questions please feel free to ask (our phone number is in the additional information tab above).